When a veteran English teacher came to me to share her thoughts and seek inspiration on getting her students excited about nonfiction, my heart went pitter-patter. Over the last decade at my campus, I’ve seen a tremendous shift to emphasizing recreational reading and seeing our students as readers. More teachers bring their classes to the library to be introduced to new books, maintain a classroom library, talk to their students about their reading habits, and provide students with the time and space to read in class–but the primary recipient of all of this love has been fiction. In my graduate library courses, we were encouraged to read all genres widely. When we reached the nonfiction module, I sighed and told myself I’d get through it. I wasn’t that kind of reader, I thought. But, then I was introduced to books like The Immortal Life of Henrietta Lacks, Bomb: The Race to Build and Steal the World’s Deadliest Weapon, and How They Croaked: The Awful Ends of the Awfully Famous and realized that I was, in fact, a nonfiction reader! Suddenly, I remembered such favorites from my reading life as Devil in the White City, Diary of Anne Frank, and An Unfinished Life: A Memoir by Lillian Hellman. When and why had these reading experiences taken backseat to their fiction counterparts? To set the stage, we decided to adapt a strategy that is a staple in the library and in classrooms: the book pass. I first found the book pass as a budding Reading Specialist while reading Janet Allen’s Yellow Brick Roads: Shared and Guided Paths to Independent Reading. When cultivating reading lives of students–especially teen readers–choice is paramount. When I entered the library and brought my book pass with me, I made a few adaptations here and there. These days, I set the activity up like a speed-dating experience. We talk about how dating a book is like dating a person–you judge it by the outside, but have to remember to listen to what it has to say before you make up your mind about it. I find that teens latch on to this idea of reading relationships. My book passes have also been organized by theme, topic, or genre–depending on the class and teacher’s needs. 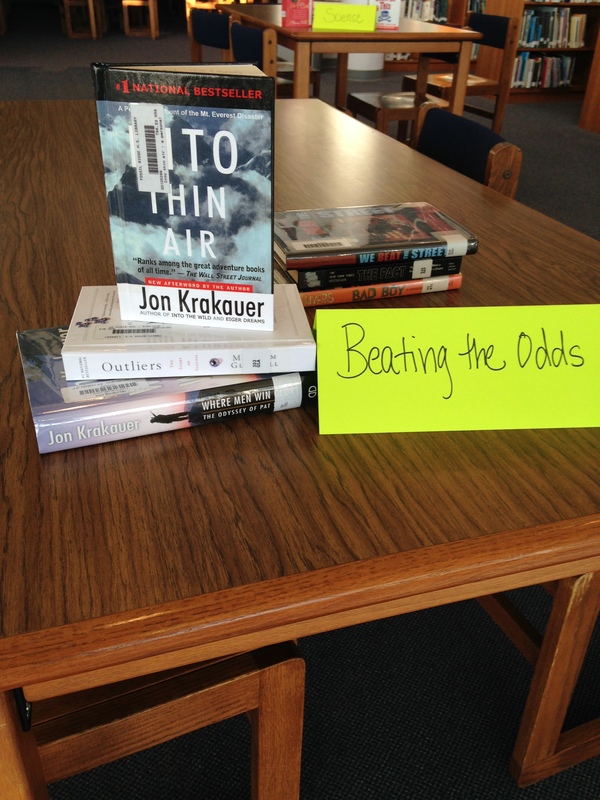 While preparing for my first nonfiction speed-date activity, I had to ask myself, how do teens select nonfiction books? Probably the same way most of us do–by topic. So, I came up with 8 broad topics to create tables. Now, the nonfiction speed date was much more difficult for me to facilitate because the nonfiction section is the weakest part of my collection. It was an eye-opening experience to see the gaps in selection. And, due to limited availability, I had to break my own cardinal rule and NOT allow students to check out the books they previewed right then and there like I do with my fiction book passes. We had wait lists dozens deep for books like The Blind Side and Steve Jobs. Most students walked away with several books on their to-read lists and many options for their nonfiction reading assignment. The next step was to begin to support their actual reading experiences so that they could share their books through book reviews. 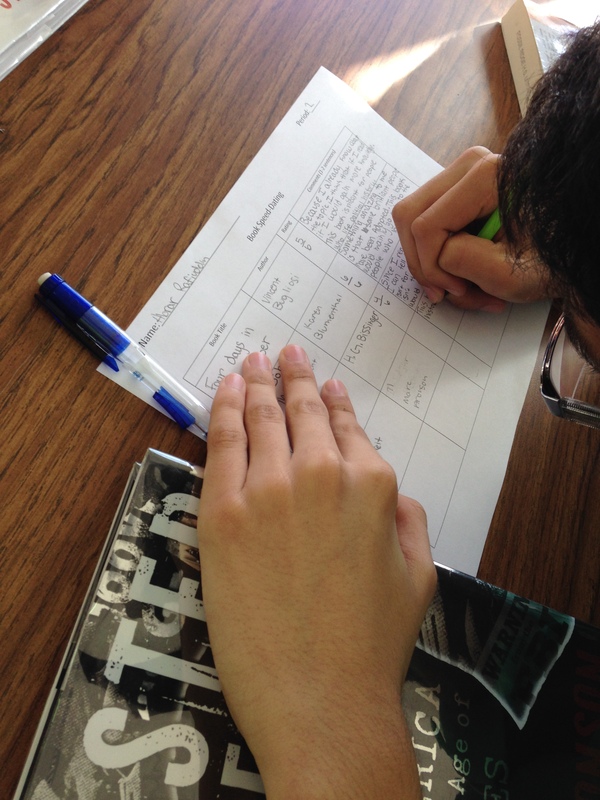 In the next post, Real-World Readers Write Reviews, I’ll share a process that I use for any type of writing that allows students to deconstruct a mentor text-in this case a nonfiction book review. Stay tuned! This entry was posted in book talk, nonfiction, Uncategorized, YA and tagged nonfiction, Reading, reading habits, students. Fractured Fairy Tales–Cyborgs and Zombies and Witches! Oh, my! Prime time television is ripe this Fall with fairy tale spin-offs. ABC’s Once Upon a Time is a mash-up of some of your favorite heroes, heroines, and villains! This Present.me features popular Young Adult novels with a fairy tale twist in conjunction with our English I classes experimenting with their own fractured fairy tales. 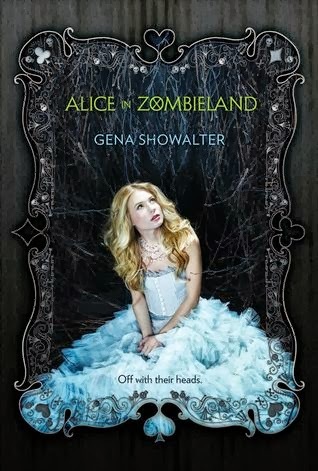 Media Mania—Magic and Mayhem: Mesmerizing Fairy Tale Retellings for Teens at SLJ.com for Joy Fleishhacker’s list of top pics. What’s your favorite fractured fairy tale? This entry was posted in book talk, YA. This entry was posted in book talk, book trailer, YA. 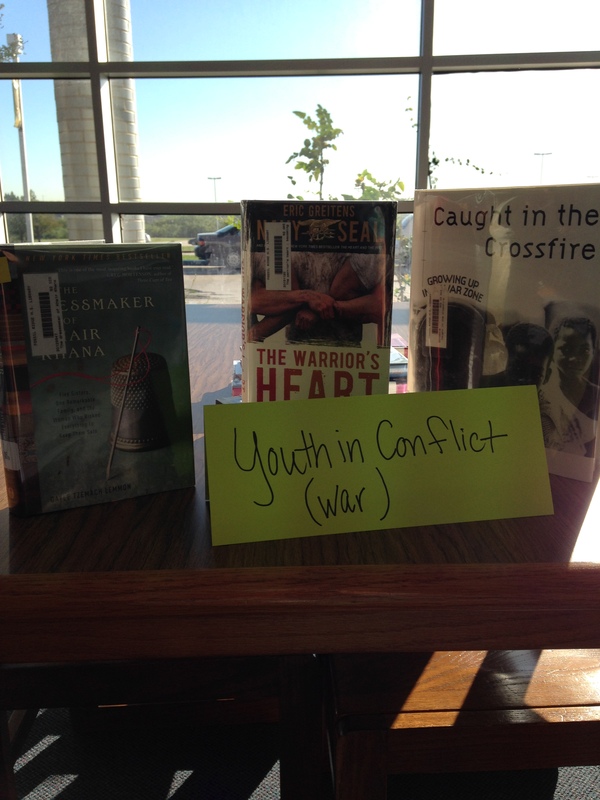 This entry was posted in book talk, SLIS 5420, YA. Each year our freshmen English I classes study classical Mythology. Man, did I love teaching the literature in English I! I mean, seriously, The Odyssey, Mythology, Romeo and Juliet, To Kill a Mockingbird…you don’t get much better than that! I wish that when I was leading students through an exploration of classical mythology, I had shared more books with them that borrow from it. Part of the reason why I didn’t was because I didn’t know many! But, now I have more to share than I have the time and space to do so. Today, I posted a book talk sharing four YA novels that are inspired by mythology or spin-offs. This entry was posted in book talk, Lists, YA.